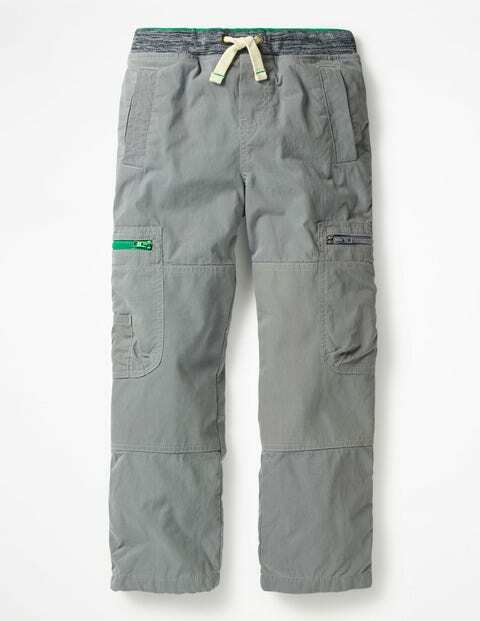 Calling all adventurers: our supersoft cargo trousers (with a stripy jersey lining) are ready for an action-packed day. The comfortable waist (with an adjustable drawstring) and straight fit are great for scrambling up trees and exploring forests, while the large zipped pockets will store all your important gear. Best of all, they're reinforced with our sturdy Warrior Knees to thwart nasty scrapes.